During the hearing today of the Swaraj Abhiyan’s petition seeking Supreme Court’s intervention to ensure drought relief in 12 states, the petitioner has alleged that Haryana Government has tried to mislead the court by giving two select months and calendar year deviation figures concealing the fact that seasonal rainfall during the South West Monsoon (June-Sept) 2015 was only 62 per cent, much less than 75 per cent required by its own criterion. The petitioner has also alleged that the UOI ‘s additional affidavit conceals the district level figures, which are most relevant to declaration of drought. There are six districts where the rainfall was below 60 per cent of long-term average. The petition has also alleged that Haryana has misled the court by suggesting that “there is sufficient coverage under irrigation”, while its own data shows that districts affected by low rainfall had as low irrigation cover as 40 per cent. The petitioner has also alleged that in para 41 of the UOI’s additional affidavit, Gujarat makes a false statement that “Central and South Gujarat also received good rainfall during the monsoon”. The petitioner claims that East and South Gujarat region received only 58.5 per cent and 66.6 per cent respectively of their average rainfall. In these regions, the petitioner says, eight districts have experienced less than 60 per cent rainfall, and they have very low irrigation cover. The petitioner has also alleged that Bihar too misled the court by giving figures for the entire state, while the relevant figures are for district and sub-district level, a practice followed by most other states. 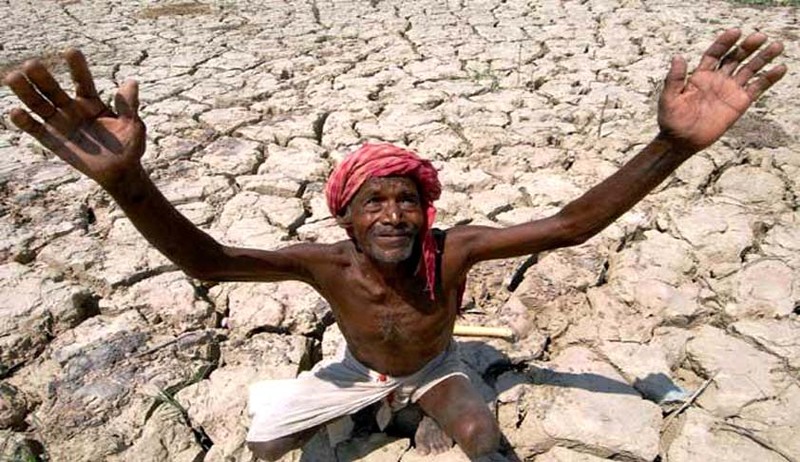 The neighbouring state of Jharkhand declared drought in many districts despite a much higher average rainfall of 86 per cent of its average. The bench comprising Justices Madan B Lokur and RK Agrawal, asked the Central Government to collect data from all the concerned states so far as submissions made by the petitioner is concerned. The court directed that the state government shall ensure compliance of the minimum employment days as stipulated in the MNREGA, the provisions of the National Food Security Act and the Drought Manual. The next hearing of the matter will be on a non-miscellaneous day after three weeks, which means there will be more grilling by the bench of the so-called misleading claims made in the affidavit filed by the Central Government. Read the Petition and Additional Affidavit of Union of India here.